Allavino offers a wide choice in home wine storage units starting from 6-8-bottle compact models up to large wine cabinets with 200+ bottle count. 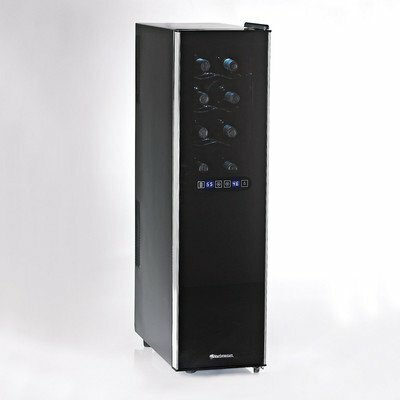 The Allavino 107-bottle wine refrigerator is one of the most affordable models in the 80-100-bottle category models. The cabinet with high-end look provides stable, cool temperaure for the stored bottles in one temperature zone with efficient compressor cooling . It ventilates at the back so it is only for freestanding placement in a bar area or entertainment room. Comes in two decors with the same technical specifications (model numbers: CWR270-1BS: black cabinet with silver trimmed door, CWR271-1BB: all-black). The Allavino 107-Bottle refrigerator offers two models with the slight difference in look that Model CWR271-1BB has an all-black decor: the door frame is also black while the other model features silver color trim. You can store your bottles on eight easy to pull-out unstained wooden shelves, 12 on each, and you can arrange additional 11 bottles on the cabinet floor. The shelves glide smoothly on the roller assembly and can be pulled all the way out. You can rearrange shelving to your liking ( to fit in wider bottles) since there are slots for the racks at every 1/2″. Cabinet temperature can be set in quite a wide range (one of the widest in the industry according to the manufacturer): from 41°F to 64°F so you can chill whites as well as set the temp. to around 55-56°F to keep reds nicely cool. The control panel with press buttons is built in the top door frame, it doesn’t look so sophisticated as in other models. Set the desired temp. by pressing the +/- buttons. The small screen displays the interior temperature. 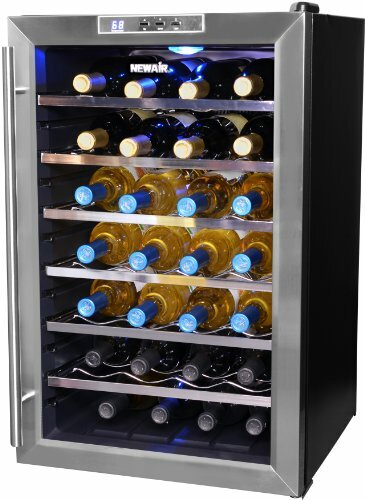 According to owners, the Allavino 107-bottle wine cooler holds set temp. quite well, with a couple of degrees (3 – 4°F) fluctuation from top to bottom. All CWR models come with carbon air filter (integrated in the top part of the cabinet interior) to keep the inside air squeaky clean, dust and odor-free. The manufacturer recommends that you change the activated carbon filter every 3-6 months. Price of the carbon filter: cc. $26 – $32. Both models are for freestanding placement, they cannot be integrated in existing furnishing. TIP: Leave at least 4-5″ space around the cabinet and the at the top to allow air circulation and proper cooling inside the unit. 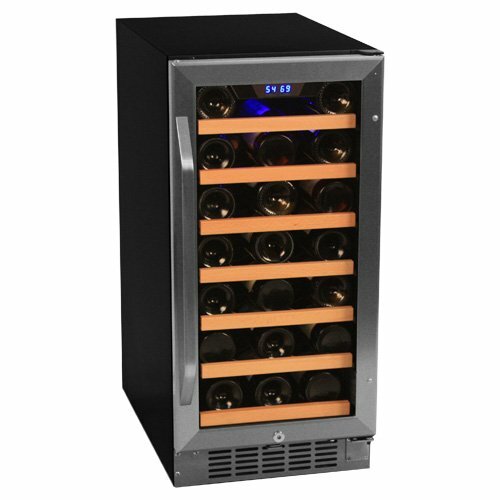 Installation tips: before placing the wine cooler and connecting it to a proper power outlet (115V/60Hz, grounded) let it stand upright for approx. 2 hours. Wipe the inside of the unit using a wet, soft cloth or non-abrasive sponge. 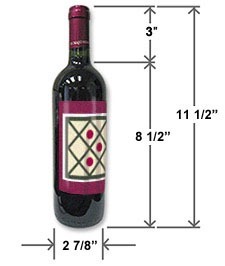 Place the wine fridge on a firm, level floor, in a room where the temperature is between 55 – 80°F. Shelving: adjustable 8 slide-out unstained wood shelves, each capable to hold 12 regular size and shape bottles (see picture). You can place 11 bottles on the bottom of the cabinet. Wine coolers don’t need much maintenance. Clean it occasionally, paying attention to dust the vent slots. To clean the cabinet, unplug the unit, take out all bottles (and racking if you want to do a very thorough cleaning) then wipe the surface with lukewarm water using a soft sponge or cloth. Learn more about the manufacturer, Allavino. 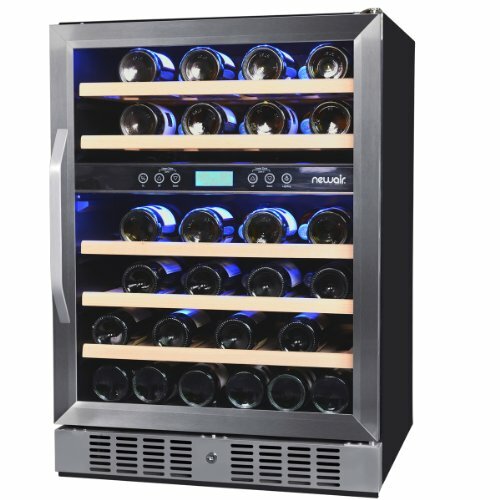 The Allavino 107-Bottle wine cooler is good value for your money especially if you compare it to other similar, 100-Bottle wine fridge cabinets. 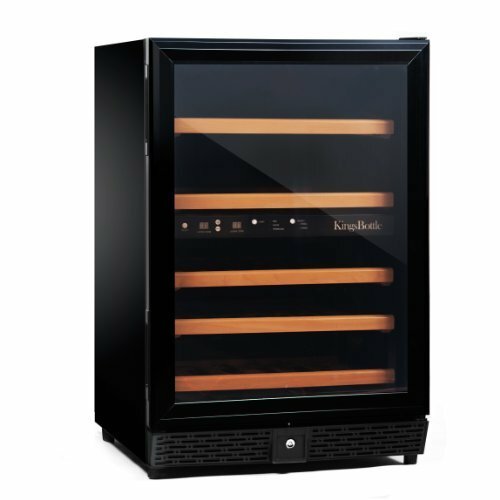 Good looking appliance, does well what it was designed for – though you can load in 107 bottles only if you stick to the standard, 750 ml, slim, Bordeaux-style bottles of wine. Owners are satisfied with the unit highlighting the easy-glide shelving, digital controls, quietness, and the security lock on the door.